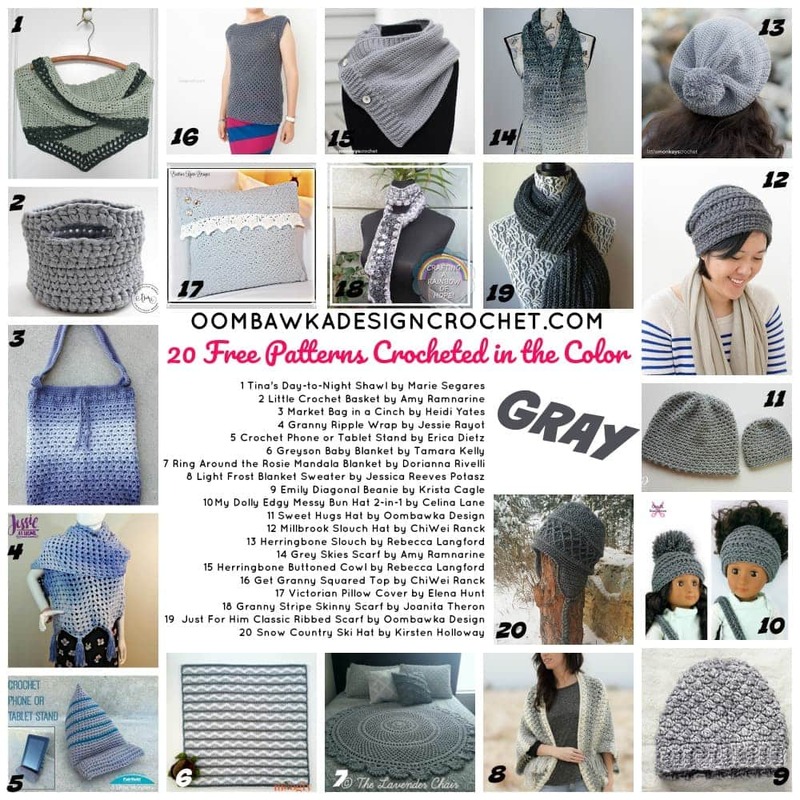 This week on Free Pattern Friday I have gathered 20 Free Patterns Crocheted in the color Gray. Included in this collection are baskets, shawls, bags, hats, tops, cowls, blankets and sweaters. Remember if Gray is not one of your favorite colors – you can simply use your favorite yarn color instead! What is your favorite color? ‘ so enjoy your patterns. Easy to follow and love the pdfs! Thanks for all your hard work….